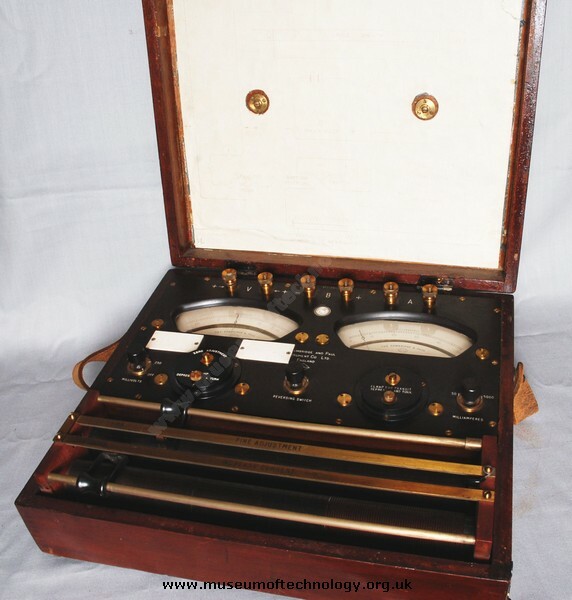 Test equipment used for detecting fractures in under ground lead sheathed cables. I vaguely remember my Dad using one of these when I accompanied him to work in the Medway area during school holidays. I was too young or my memory too poor now to remember how it was used. The P.O. had improvements over the years and breaks in cables could be detected quite accurately which was useful to dig a hole in the right place. However the most accurate system my Dad used was two bent pieces of copper wire used to divine the break accurate to within inches.